Belgium's grid operator Elia said in a statement last week that 700-900 Megawatts (MW) of additional electricity capacity will be needed this winter — down from a previous estimate of about 1,600 MW — if the country is to meet its electricity needs and avoid blackouts. Five of Belgium's seven nuclear reactors have been taken offline for repairs in recent months, with another set to follow on Friday, after the discovery of shoddy concrete, leaky pipelines and poorly constructed steel supports. "It's the aging of the buildings' infrastructure," said Frank Hardeman, director general of the federal agency for nuclear control. "But I don't think it could have been foreseen." Belgium plans to completely phase out nuclear power generation by 2025 as the current crop of reactors reach the end of their design lives. But the timing of repairs this winter has left a shortfall in electricity supply that may be unable to satisfy demand. 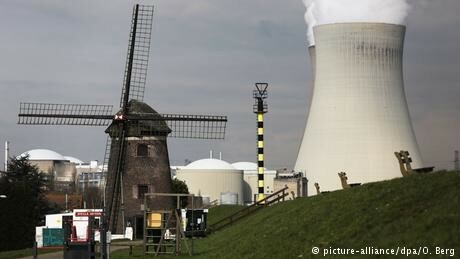 Many European countries have aging reactors. Belgium's infrastructure, however, is particularly old. Part of its troubles stem from a high dependency on renewable energy sources as well as nuclear ones. Unlike the Doel 3 nuclear reactor, wind turbines and solar panels do not provide a constant stream of electricity because they are reliant on the weather. Those renewables can thus only replace the demand at certain times of the day, meaning the loss of much of Belgium's nuclear fleet this winter has left the country's energy market exposed. "If it gets very cold you get enormous surge on the spot," said Christian Egenhofer, senior research fellow at the Centre for European Studies in Brussels. "If these things come together and you have a cold day with no wind, then the Belgian system cannot rely on renewables to supply the demand." It is not the first time that maintenance work on the reactors has restricted Belgium's ability to generate electricity. Power outages have been repeatedly predicted in recent years but lower energy demand has so far averted blackouts. "The winter [in 2015] wasn't very cold," said Egenhofer. "But if you have six weeks of persistent cold weather the situation quickly gets dramatic." "The trouble is, you cannot foresee how cold a winter will be," he said. Belgium's power shortfall has sent its politicians scrambling for help from neighboring countries. Prime Minister Charles Michel said in a speech on Monday that German Chancellor Angela Merkel had assured him she would cooperate on exporting energy to Belgium. Separately, France and the Netherlands have also agreed to help. "The [energy] minister was confronted with an unforeseeable situation," said a spokesperson for Belgian Energy Minister Marie Christine Marghem. "Now she's looking for every Gigawatt she can find." The lack of infrastructure connecting Belgium's electricity grid with its neighbors has made Marghem's struggle harder. Belgium has "interconnectors" — electricity transmission lines — directly linking it to France and the Netherlands, but not Germany or other European Union countries. This reduces the amount of electricity Belgium can quickly and easily import from abroad. On top of that, up to a quarter of the existing capacity is taken up by domestic German electricity passing through the Belgian system via the Netherlands. A high share of German energy is generated in wind farms and coal stations in the north of the country and sent to the south, said Carole Mathieu, an energy analyst at the French Institute for International Relations. But Germany's poor domestic infrastructure means electricity taking the path of least resistance is often routed through surrounding states such as Poland and France. "It's a major issue and it costs a lot for other countries," said Mathieu. "But cooperating with Germany makes sense because they can take immediate action."